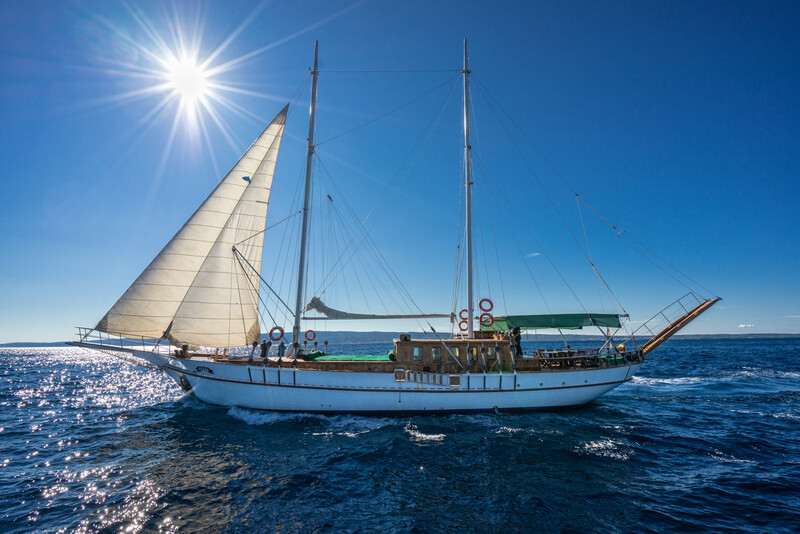 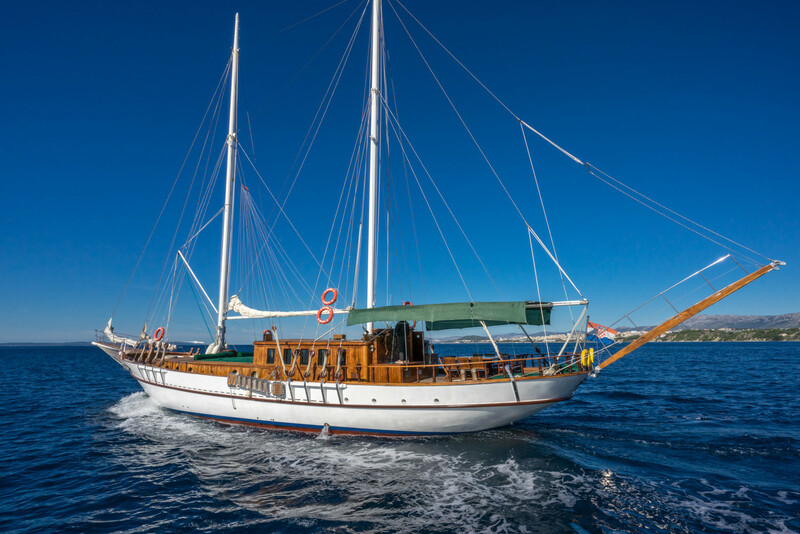 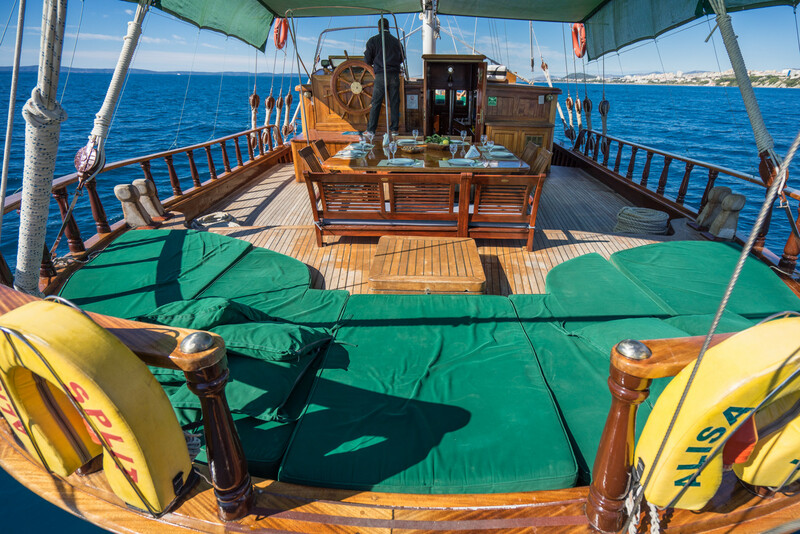 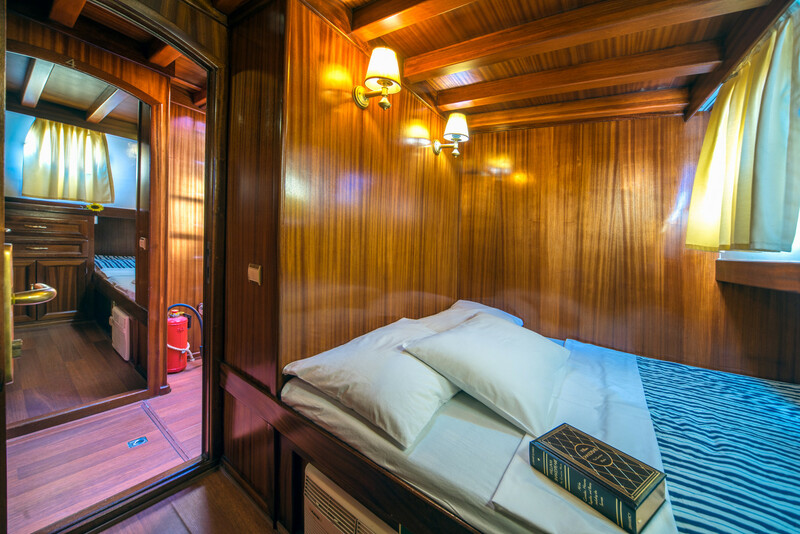 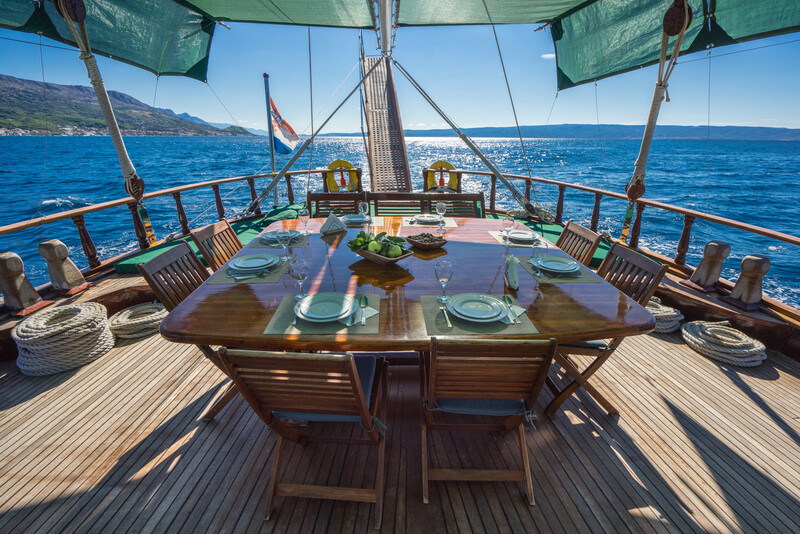 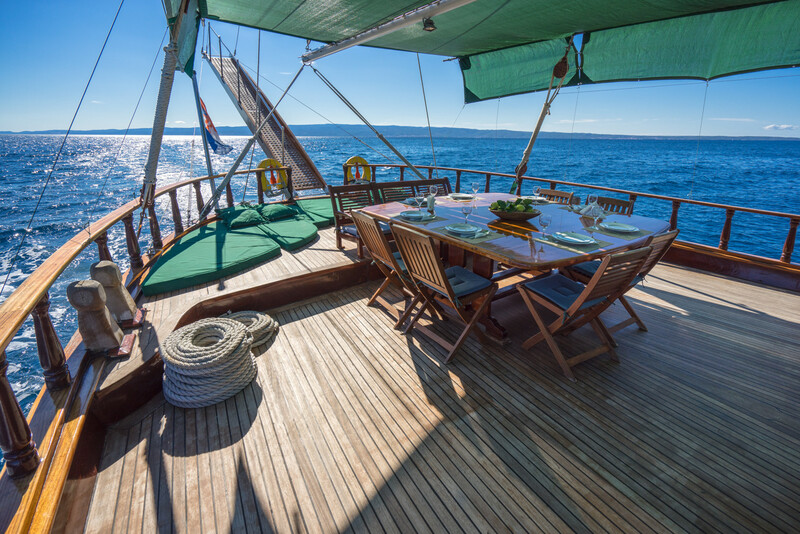 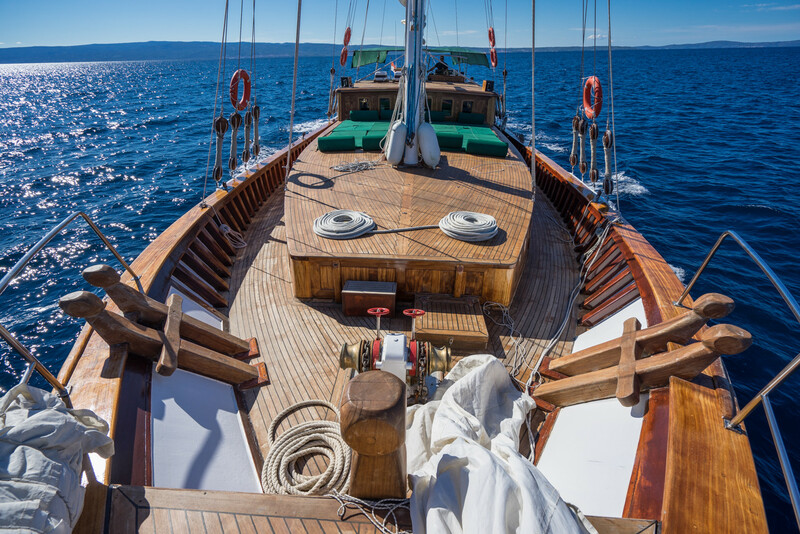 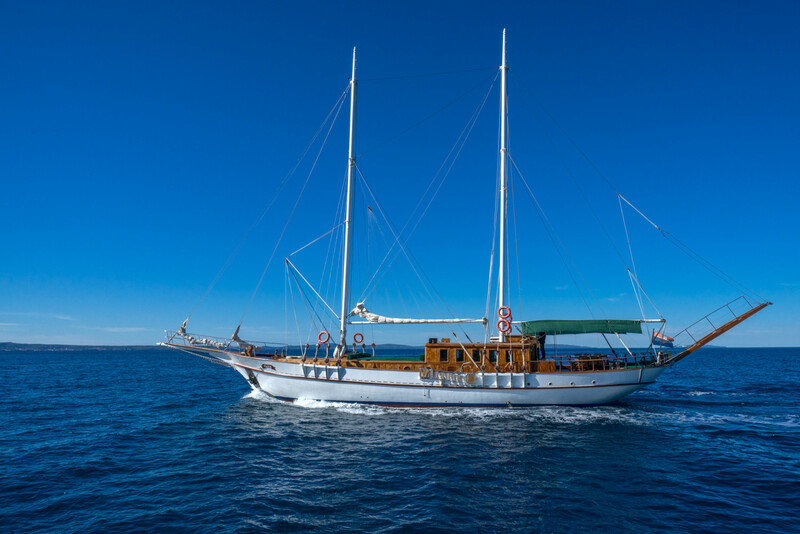 GULET ALISA is an ideal choice for families with children that with its impressive appearance provides an additional sense of security. 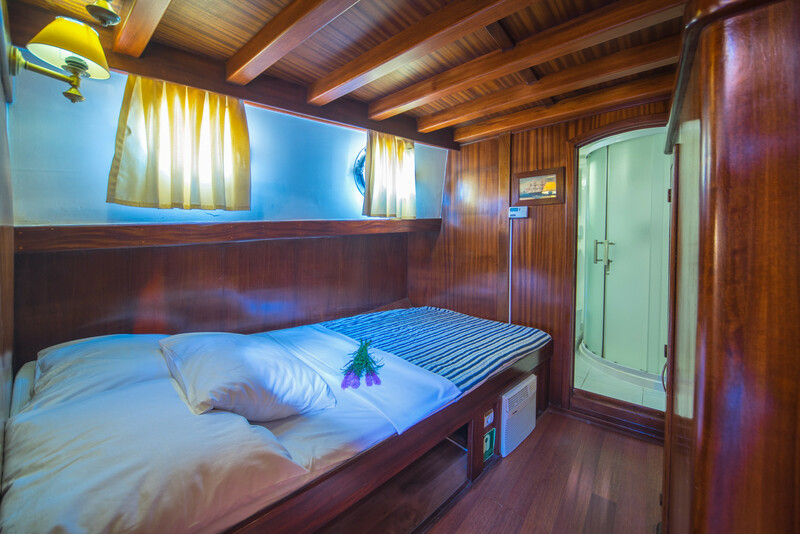 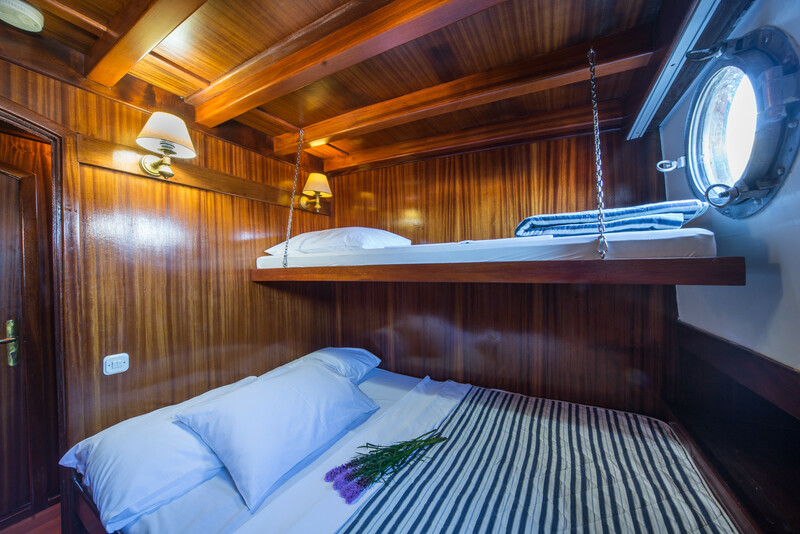 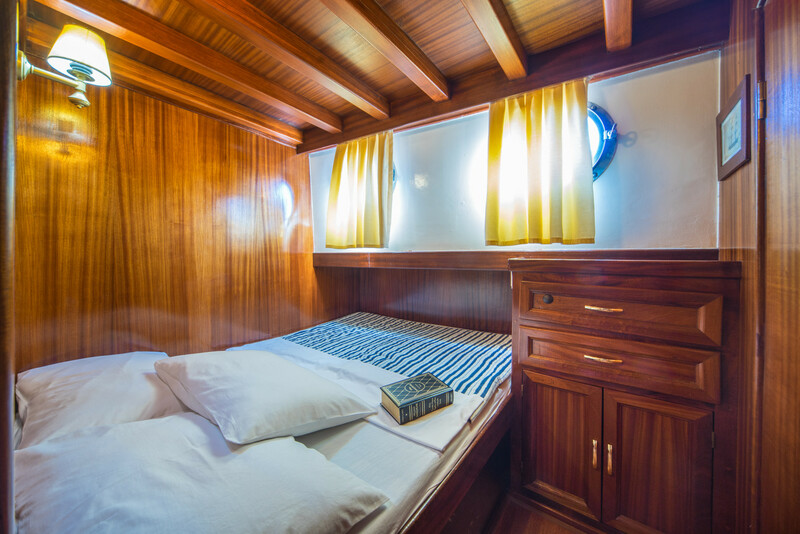 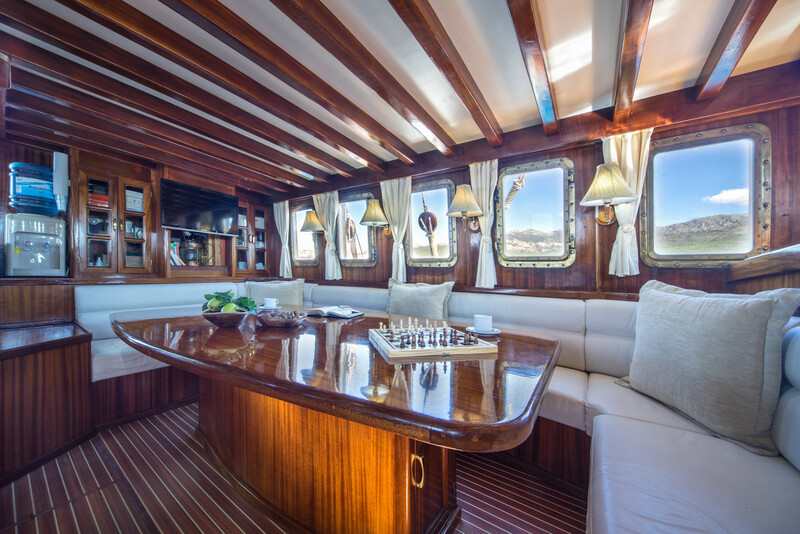 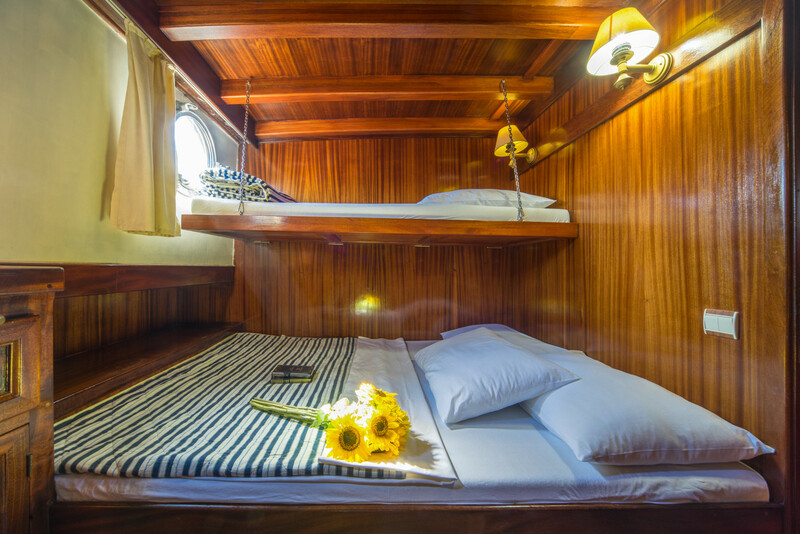 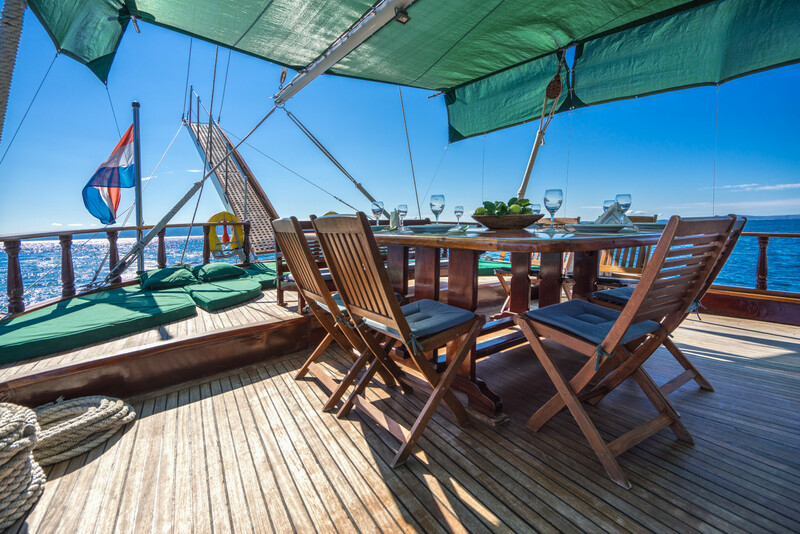 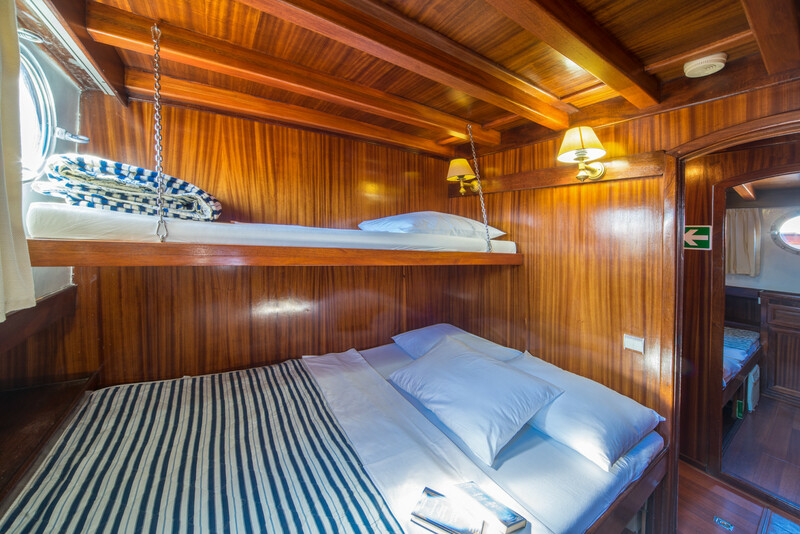 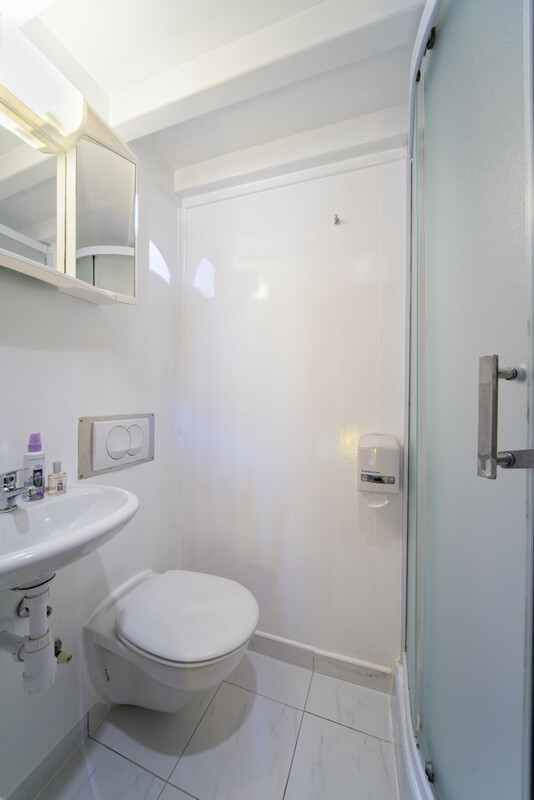 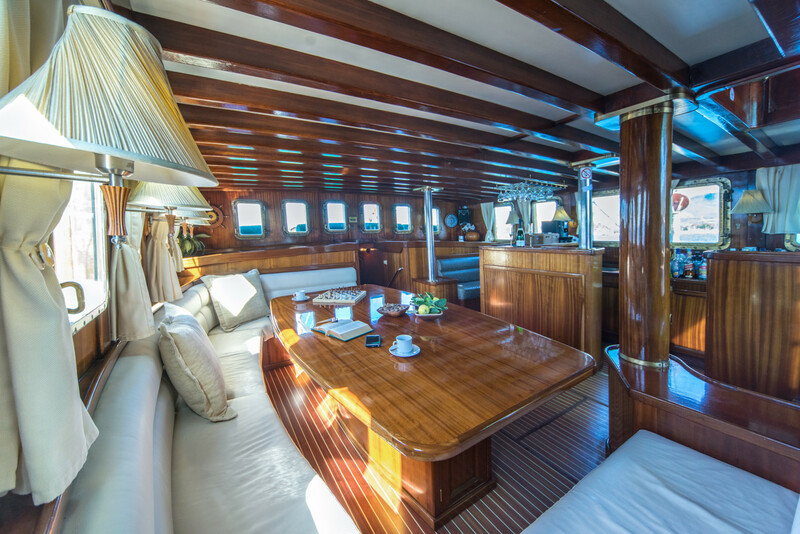 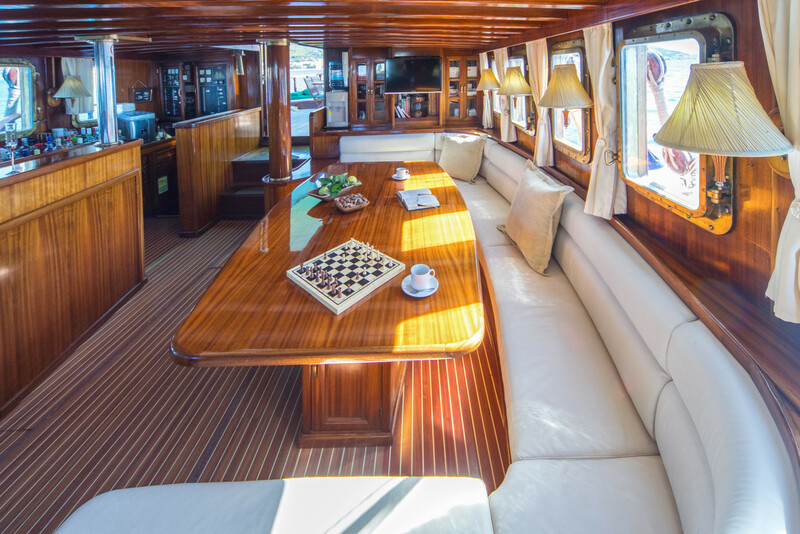 Whether you are admiring the view of the open sea that spreads in front of you from a spacious front deck or enjoying local delicacies on a stern deck, every moment of your holiday will be well used. 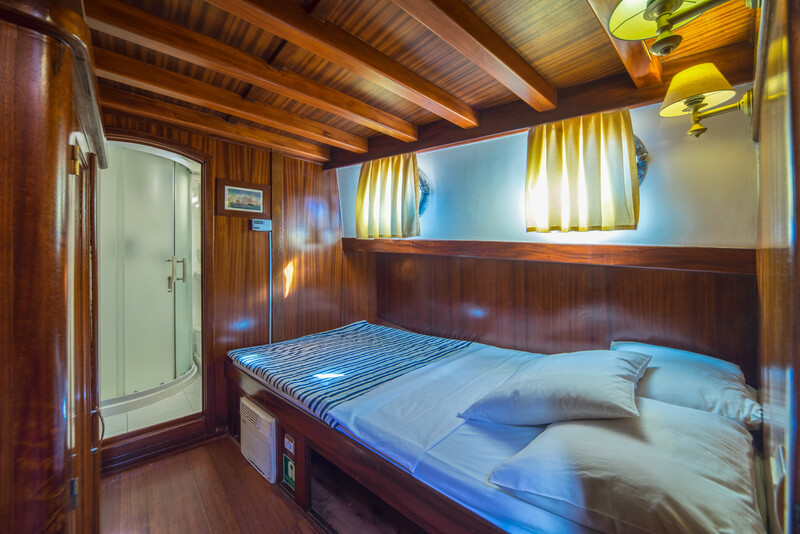 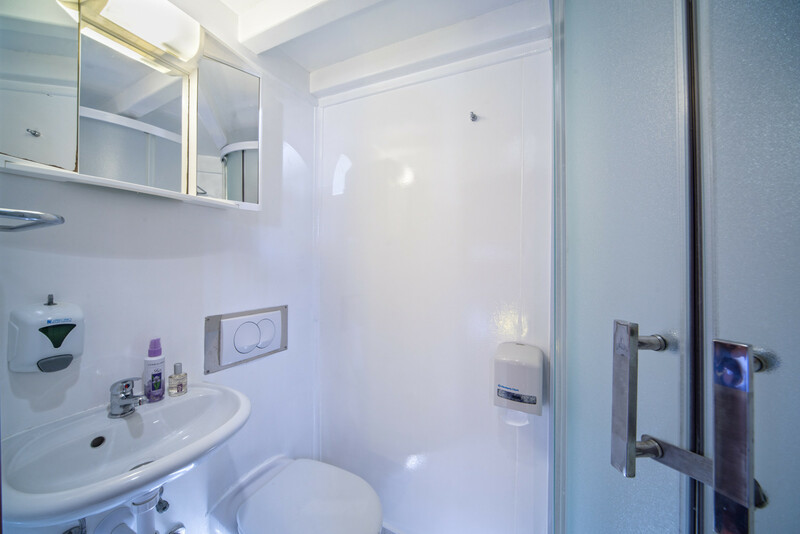 During the seven-day cruises four crew members are at your disposal. 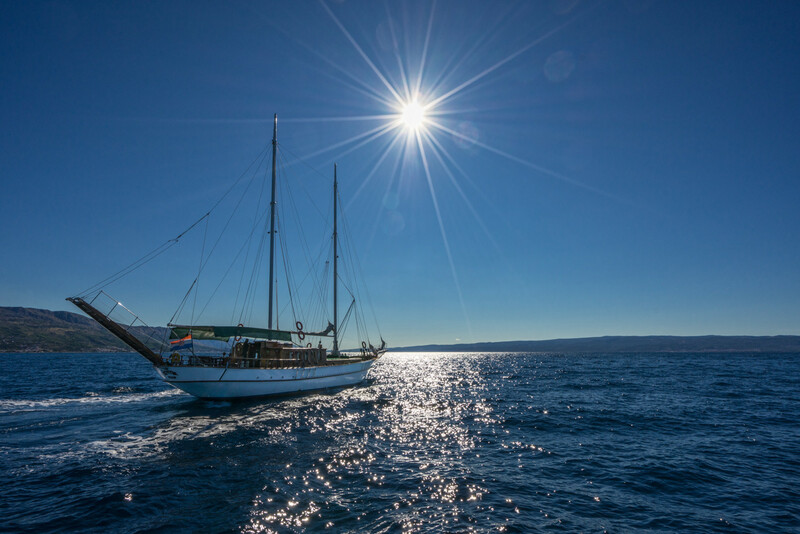 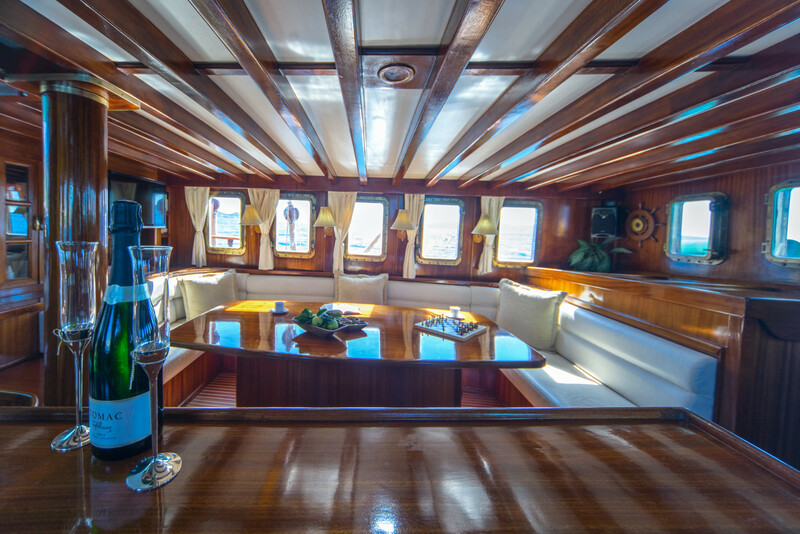 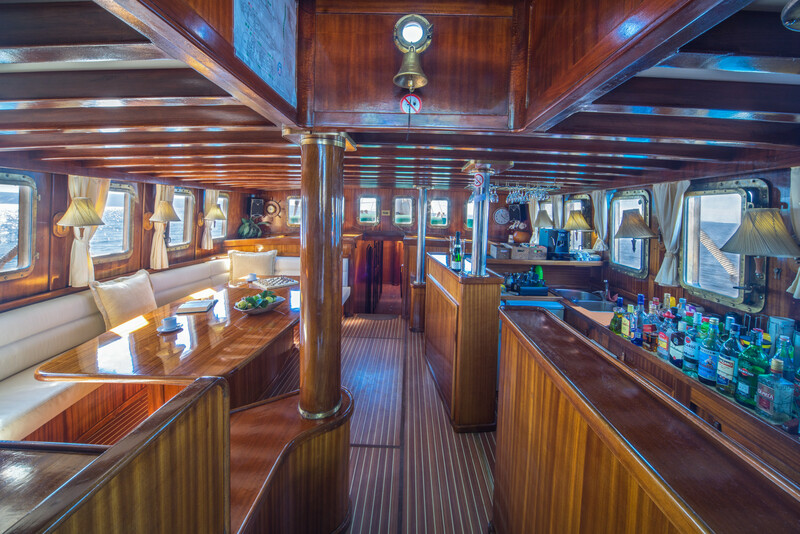 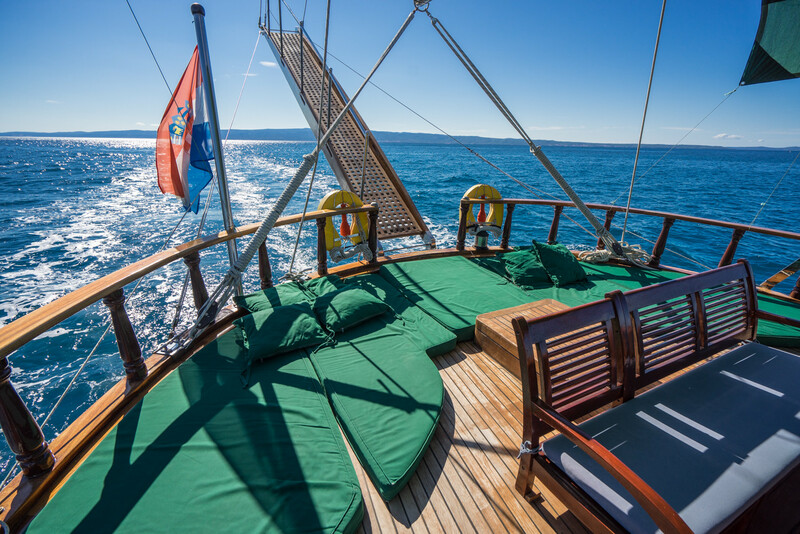 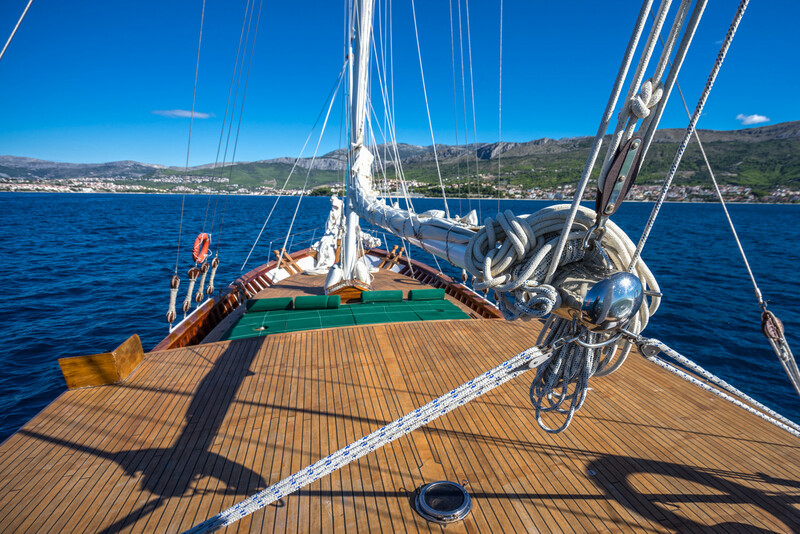 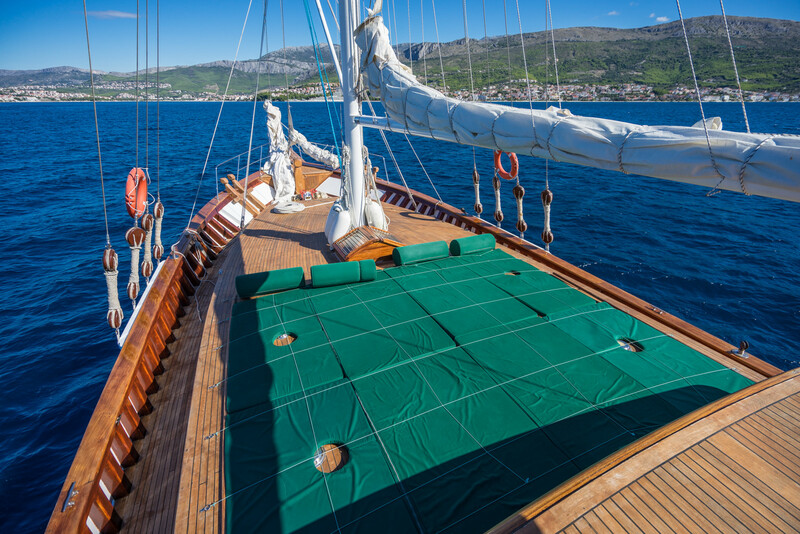 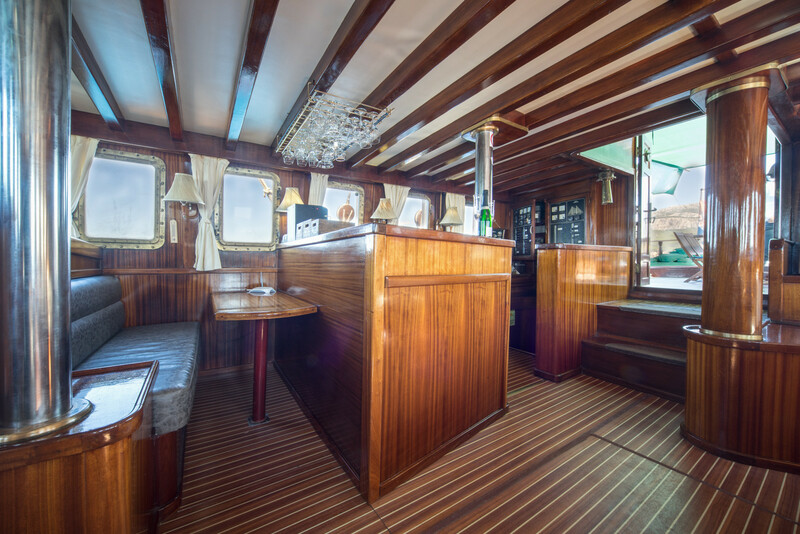 For those who want to experience unforgettable moments of cruising on Alisa with a complete sense of relaxation, every week we offer guaranteed departures from Split and Dubrovnik in the period from mid-May to mid-October. 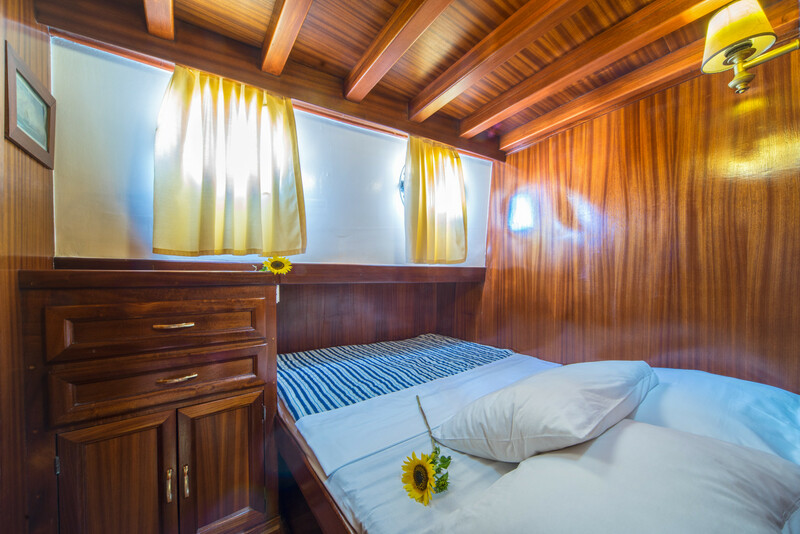 Supplement for third bed: children 0-8 years +30%, children 8-12 years +40%, children from 12 years and adults +50%. 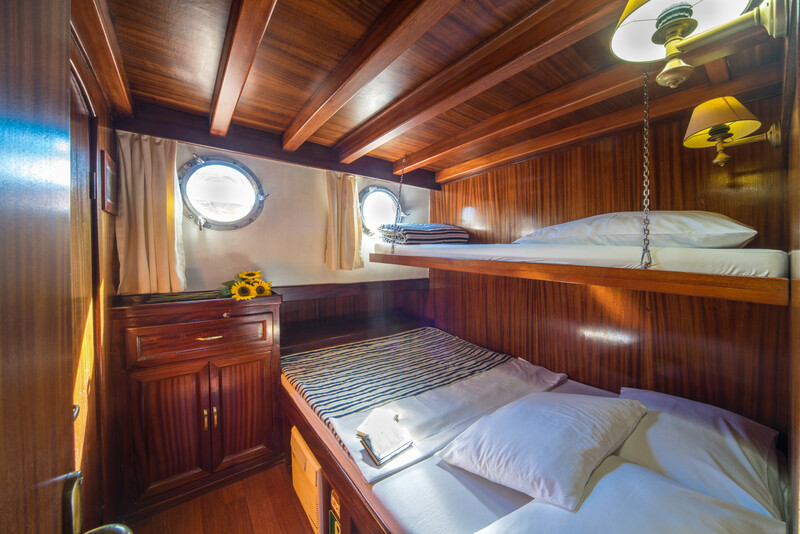 The price includes: 7 day cruising, 4 crew members, insurance, port and tourist taxes, fuel for 4 hours of navigation per day, up to 5 hours of generator work per day (for air conditioning), equipment on the boat, bed sheets and towels, beach towels, half board (7 breakfasts, 6 lunches and 2 dinners - including the Captain's dinner), natural water, tea and coffee, WI - FI Internet (1 GB/day). 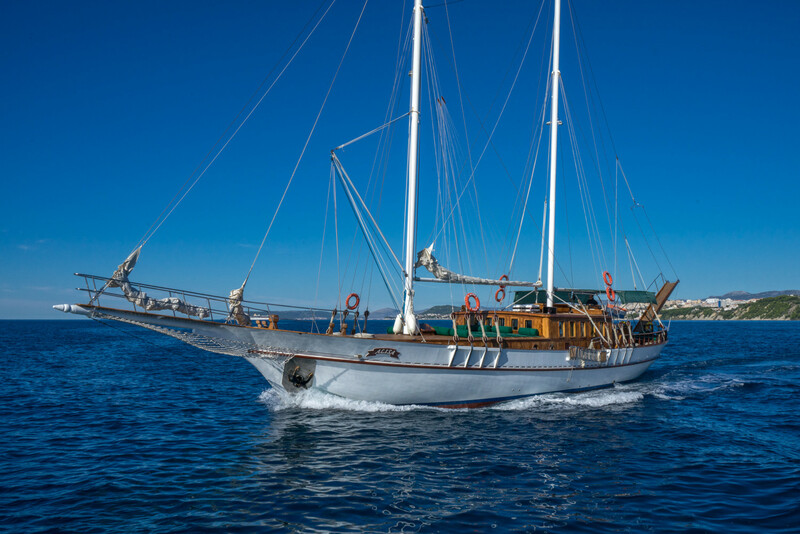 The price doesn't include: transfer, entrance to the National Park, water sports, private marina fees (if requested from clients), tips, personal extras and all additional costs not mentioned above. 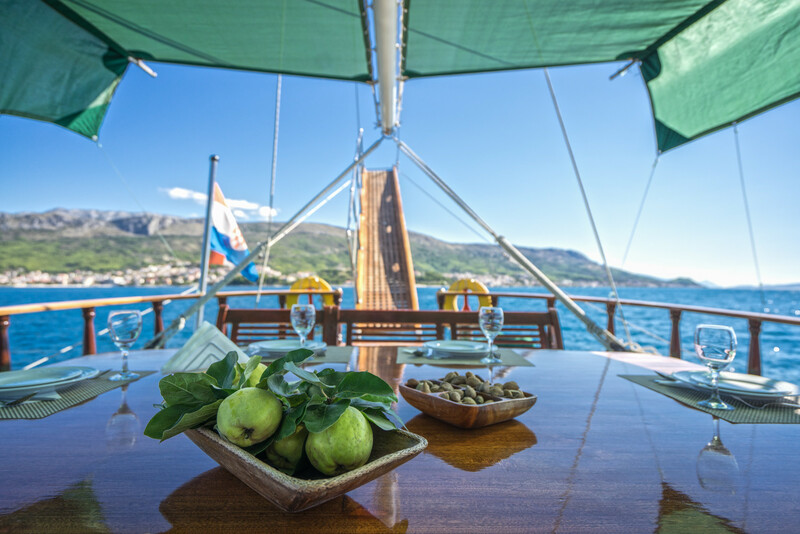 Supplement for Dubrovnik route (route 3 and route 4): 60 € for a person / optional. 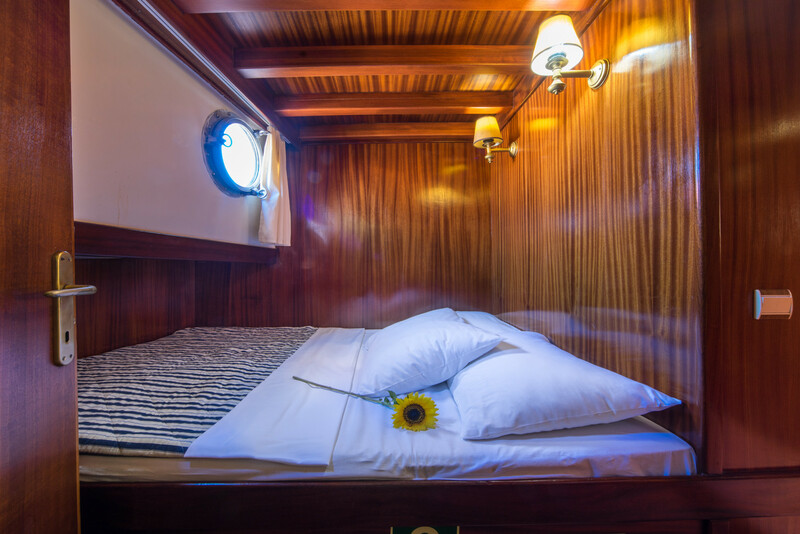 Embarkation : Saturday at 16:00. 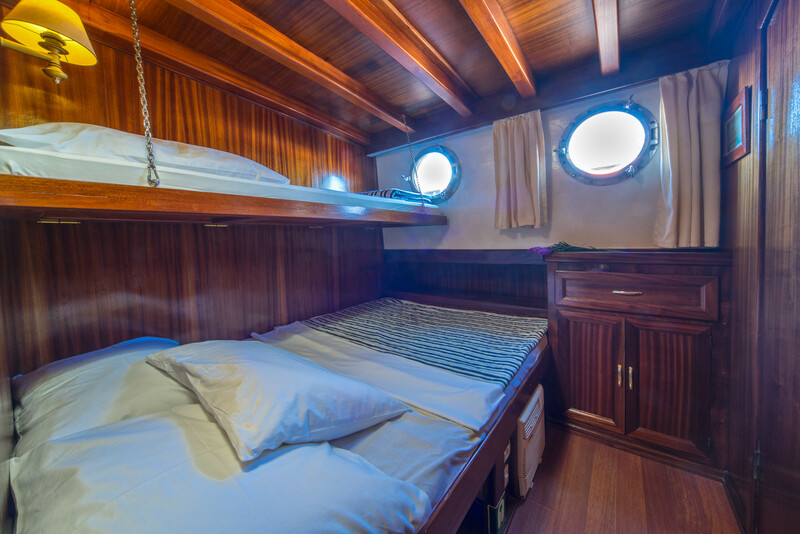 Disembarkation : Saturday by 09:00.